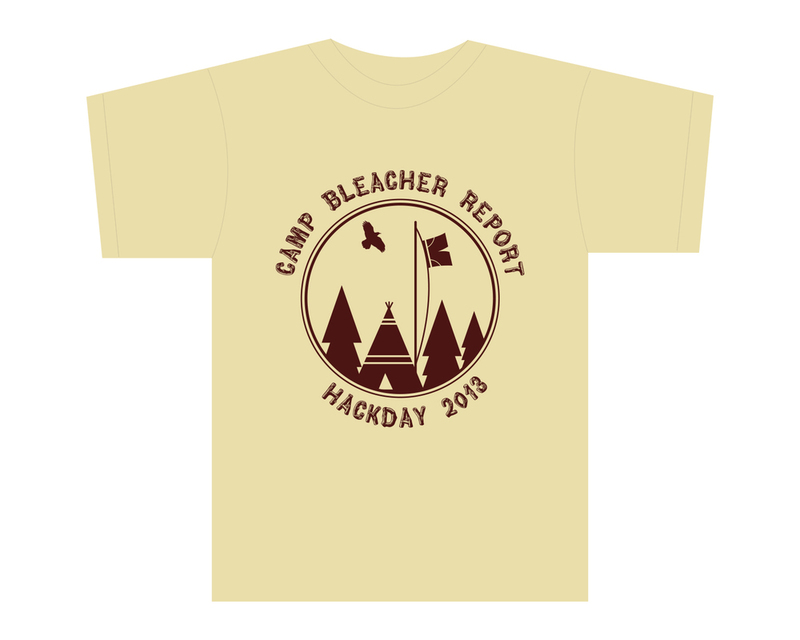 Bleacher Report held an internal hack day. Colleagues teamed up in groups to create a variety of products they believed could add value to the company. I was tasked to create a poster and t-shirt design for the event. I decided on a summer camp theme, given it was summer time and we would be spending an entire day doing activities together, I thought it would be a fun theme. As kids, we can all remember getting sent to summer camp, forced to wear hideous matching shirts, and the unfortunate, having our shorts hung on the flag pole next to the campsite. I managed and designed all the collateral, as well as taking care of the print order for posters & shirts.